Whether you need a heavy machine gunner or a fantastic cook, Roadblock is here for support! This G.I. 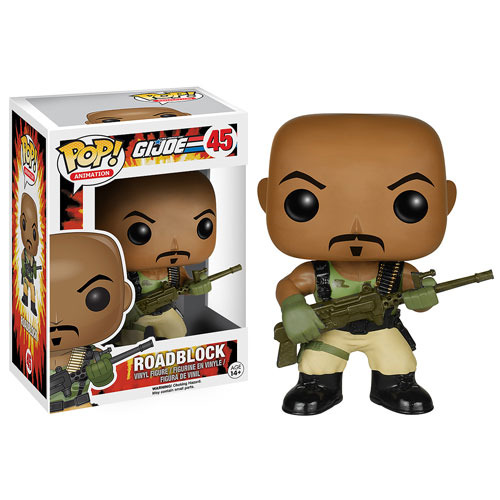 Joe Roadblock Pop! Vinyl Figure features the classic Joe with his trusty heavy machine gun in hand! This figure stands 3 3/4-inches tall in Pop! Vinyl format, and comes packaged in a window display box. Ages 14 and up.